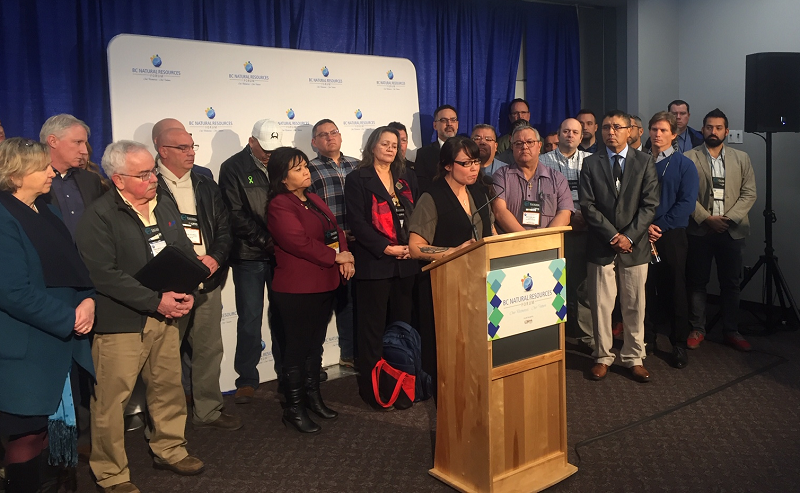 Chief Councillor Crystal Smith speaks to the First Nations support of LNG Canada and Coastal GasLink at a press conference in Prince George January 23, 2019. I am Crystal Smith. I am the elected Chief Councillor of the Haisla Nation, and as a First Nations leader in my community I dedicate myself to providing opportunities that benefit my people. I want First Nations members to have the same quality of life that every other person in Canada has. I want B.C.’s First Nations to be heard and be included in the discussions which impact our territories. I want us and other First Nations to achieve their independence in order to properly and effectively care for the future of our people. Haisla, and the other 19 elected bands across the Coastal GasLink pipeline route have concluded the project as meeting the requirements that we have as First Nations. Our support of natural gas pipelines is not imagined, and in fact, this has been a historic achievement to see this level of commitment from so many Nations. 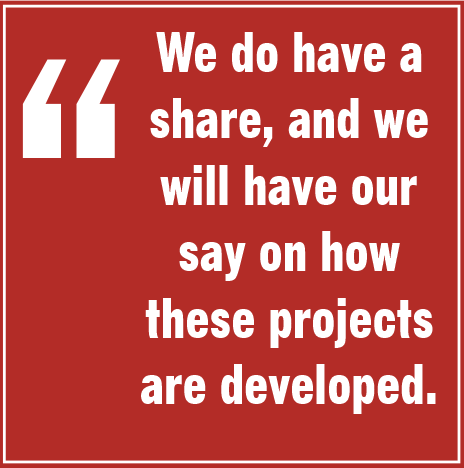 We do have a share and we do have our say. First Nations have been left out of resource development for too long, and it would be easy to say no to projects, but now we are involved, we have been consulted, and will ensure there are benefits to all First Nations involved in these projects. We do have a share, and we will have our say on how these projects are developed. And so the Haisla said yes to these projects because we have concluded they will be built responsibly for our environment and will allow our people to flourish. We said yes to these projects because we believe they will provide employment not only for ourselves but for north. LNG Canada and Coastal Gaslink have committed to ensure that the people in the north will receive employment in these projects and we all must ensure these commitments are fulfilled. We said yes to LNG Canada and Coastal GasLink, because the proponents and the Province of British Columbia have approached us from a position of respect for our Nations and our people. They have respected our expertise when it comes to our territory and our culture. Haisla are not quick to offer endorsements for any projects when it comes to our territory. Remember back to the Northern Gateway bitumen pipeline proposal, which did not meet our conditions nor our standards, and we successfully opposed that project. But we’re not talking about oil or bitumen. Coastal GasLink is natural gas, and it should not be confused with any other products. A natural gas pipeline will always be a natural gas pipeline and can’t be converted. I thank Premier John Horgan for his recent comments in support of LNG projects, and his acknowledgement of the work LNG Canada has put in to building relationships with our Nations. I encourage Prime Minister Justin Trudeau to equally continue to stand in support of these projects and the proponents which have walked the proper and steady path of engagement for many years. At a recent town hall, the Prime Minister remarked on the need to walk the path with Indigenous people, to share opportunities and benefits and decision making. We encourage the Prime Minister to affirm that work is taking place with Coastal GasLink, that the support for this project has been earned from the First Nations along its route, and that it’s not the reality that this project is one that is being pitted against all First Nations in the north. Coastal GasLink construction is taking place through the good faith of agreements signed. I do acknowledge, that there is conflict between some hereditary chiefs and the elected Council of the Wet’suwet’en regarding Coastal GasLink. I empathize with their situation, as Haisla have gone through similar issues in our past. But I urge outside interests to leave this to the Wet’suwet’en to resolve on their own. Given the large First Nations support with Coastal GasLink, I’m disappointed that the Union of BC Indian Chiefs is choosing to stoke the fire of conflict regarding the Wet’suwet’en issue rather than stand in support of the 20 Nations which have signed agreements for the natural gas pipeline. In fact whether it’s the UBCIC, or the Assembly of First Nations or the First Nations Summit, these groups seem content to rush to offer their perspective on what is happening within the Wet’suwet’en, but have remained silent on all of the First Nations which are benefitting in real terms from these projects. I’m happy to be here at this Forum today, and this opportunity for business and First Nations leaders to come together to work on delivering real, and practical benefits for everyone, such as jobs and training. Let’s move beyond the sensationalism and simply get to work for the betterment of our people, our Nations, and the province. I encourage you to be vocal in your support, and to stand up in support of these projects. Tell those rallying against Coastal GasLink that they would make a better change rallying instead for the 20 First Nations which have had real inclusion in industrial development. And, if you can, come to Haisla Territory to see the work that is being done, and the positive impact it is having on people. We are facing a once-in-a-lifetime opportunity. Coastal GasLink and LNG Canada is unprecedented in what it can offer First Nations people in the north. I’m tired of managing poverty. I’m tired of First Nations communities dealing with issues such as suicide, low employment or educational opportunities. We’re at a time for First Nations can take control of their future. If this opportunity is lost, it doesn’t come back. Therefore we can’t lose this opportunity for our people, and for our children. LNG matters for us, and that is why we stand up for it.